This chapter discusses aspects of the role of debt contracts and covenants in corporate governance. It reviews evidence on types and incidence of debt covenants in both public and private debt and discusses evidence on contemporary developments in debt contracting practice and newly emerging debt covenants, placing debt covenant practice in historical context, and stressing the evolutionary nature of covenants. We observe patterns in empirical evidence on covenant types and usage, noting that covenants lose and gain popularity or relevance, with some new covenants appearing. Traditional explanations of choice in debt contracting associated with agency costs and contracting costs provide only partial explanations of change and we explain covenant evolution using the literature on financial innovation. Influences on covenant evolution include changing law and regulation, new opportunities to manage risk, exogenous shocks and crises, the influence of cyclical and structural economic factors, and advances in theory. We conclude that it is important to extend existing research on innovation in debt contracting and covenants to include studies of the development of specific covenants, agents of change and costs and benefits of innovation. Such research will help ensure modelling of debt covenants in empirical research in accounting and finance is sensitive to institutional realities. 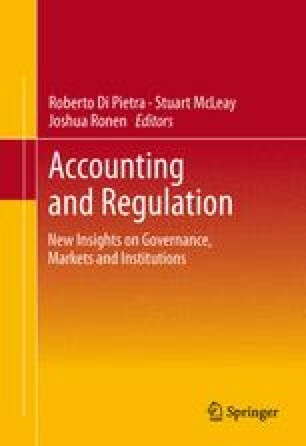 This chapter includes the paper originally titled “Debt Contracting costs, corporate governance and accounting choice: reflections on the Positive Accounting Theory model” and discussed at the First International Workshop on Accounting and Regulation in 1998. Office of Fair Trading. (2011). Statutory audit: Consultation on the OFT’s provisional decision to make a market investigation reference to the Competition Commission of the supply of statutory audit services to large companies in the UK, OFT1357, July, London (available at www.oft.gov.uk).